If gods and men fought a war, who would win? In the future, humans have discovered pathways into the supernatural planes and managed to enslave the gods themselves. In this bleak, technological future, twins “Devah” and “Decoda” have been genetically imbued with the essences of gods. It is hoped that they will embody human superiority over the supernatural worlds for all time. They are to be the ultimate doomsday weapon against the rising fear of a revolt among the enslaved gods. Unfortunately, the twins show no evidence of the powers they were designed to possess. They are made enforcement officers and placed in the “Decider” corps. Highly motivated to excel and thus dispel all lingering impressions of their disappointing start in life, the twins quickly become living legends among the Decider corps. In the diligent (even blind) pursuit of their duties, the twins fall into a trap that drags them out of their future time into our world of 2013. Caught in a web of the gods’ Machiavellian plans that reach from the highest tower of Heaven to the fiery pit of Hell, the twins find themselves in a situation unlike any they could ever have imagined. They’ll have to grow up fast while they fight for their lives…and find a destiny no one ever expected. Twin god-killers from the future become trapped in the year 2013. They will battle both Heaven and Hell to save their future and their lives. Devah versus Decoda! Will Lilyth's plan to control both twins succeed or is she asking for double trouble? Plus, a surprising revelation about Joseph Caine is revealed! It's a tell all issue! Decoda, Syd, and Archangel Gabriel journey to the center of Hell to rescue Devah, who has been kidnapped by Siah. It's the ultimate battle of good vs. evil in this series finale! 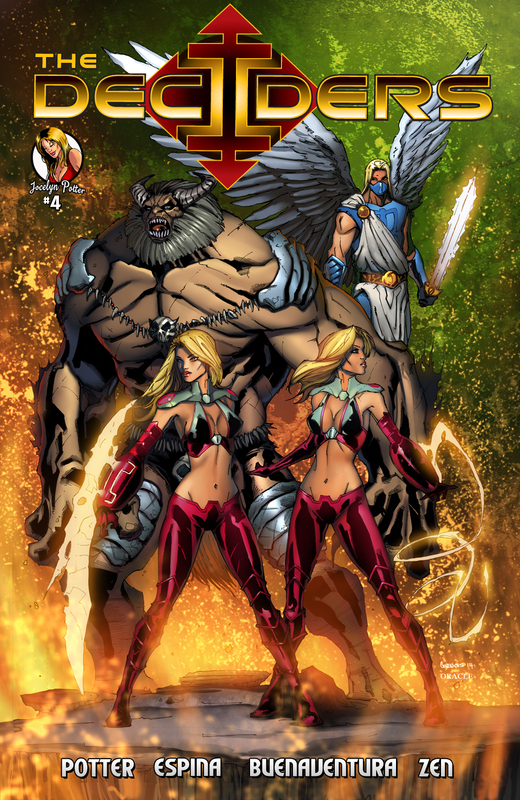 Will Devah and Decoda prove strong enough to defeat Archangel Michael and Syntax and the armies of Heaven and Hell?